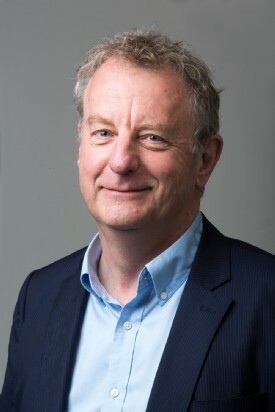 Jeremy Leggett is an award-winning energy-technology entrepreneur, founder and director of UK renewables firm Solarcentury and founder and chair of charity SolarAid. He has been described by the Observer as 'Britain’s most respected green energy boss and was the first Hillary Laureate for International Leadership in Climate Change. At a moment when we need to see investment into clean energy and a green economy accelerate markedly, we instead see investment in clean energy declining. Even modest measures to address climate action are being thwarted. Macron’s proposed fuel tax rises were swiftly extinguished by the ‘gilets jaunes’ protests. In the UK, deep cuts to feed-in-tariffs have frozen growth in an embryonic industry critical to the UK’s energy future, predicting to generate 18,000 job losses as a result. Why? At the heart of the challenge is the gap between action to mitigate climate change and the public’s willingness to support such measures. Climate change is downgraded in importance whenever it is perceived to detract from economic growth, jobs, and people’s bank accounts. We recently launched a report that aims to mobilise leaders in Europe around a new kind of growth. As part of that report, we commissioned research into narrative and attitudes around four key challenges for growth in Europe: how we shift towards a green economy; how we plan for the future of work in an age of automation; how we reconnect leaders to people; and how Europe can lead toward a more open, collaborative global economy. Using a combination of artificial intelligence and human analysis, we mapped a one-month slice of the digital conversation in 28 countries between 15 September and 15 October – drawing from over 200,000 stories, blogs and essays. For the green economy, 28,000 articles were identified linked to concepts such as “climate change” and the “circular economy”. AI was used to identify key concepts in articles and rank them by the extent to which they were shared on social media. The data showed that there is little discussion regarding the economic impact of the shift to a low carbon, green economy – and almost none connecting climate change to new jobs or household income (despite growing momentum behind a Green New Deal in the US and Europe). Instead, stories around the green economy are dominated by discussion on climate and energy policy and consumer behaviour like recycling or reducing meat consumption. It is a debate that speaks primarily to those who are already engaged. We need to focus on linking the green economy with wellbeing for the many and make that the driver of the narrative for change. Our study showed that articles talking about pollution are shared 65% more than articles about renewable energy highlighting widespread anxiety about the tangible health impact of air pollution. We must build a positive narrative around the opportunities the green economy will bring for ordinary people, rather than centring the narrative on the need for emissions cuts – too easily repackaged by climate sceptics as a recipe for economic privation. Government and business should work together to drive jobs through investment in the green economy – a programme for a future-fit industrial renewal in Europe that benefits us all. Given the projected growth rates of clean energy, and the huge scope for renewable, smart, efficient, and transport-related technologies to work in synergistic harness, there is potential to create many millions of jobs in Europe in the years ahead. We can also build a popular constituency for the green economy by connecting people directly to the green economy as prosumers. Data from our study showed that in Germany, in contrast to other European countries, articles about renewable energy were the most widely shared – perhaps because policies to support household investment in solar energy have succeeded in building a broad public constituency behind renewables through feed-in tariffs. In the UK, supporting a prosumer-led energy market could help unlock popular support for green measures. Vehicle-to-grid programmes, such as Nissan and Ovo’s collaboration, raise the prospect that electric vehicles could be a means for increasing household income by off-setting energy costs. An enticing possibility for turning the one in ten households who suffer from energy poverty into dedicated supporters of the green economy, neutralising opposition to carbon levies in energy bills and addressing air pollution at the same time. These are the kind of opportunities government and business can drive and that could generate strong public support behind a green economy. To ensure the public fully buy into the climate agenda, we need to put the jobs and incomes of ordinary people front and centre.